The etheric body has been variously discussed as the power body, the resurrection body, the body of light, the secret Adam, the eidolon and the augoeides or luminous body. The etheric body can be understood as linking the physical body with states of consciousness and enlivening influxes of spiritual energy, it can be seen as the enlivening bond between the physical, the soul and the spirit. In W.E. Butler’s Practical Course on the Mystical Qabalah, which was the SOL main correspondence course for decades, the etheric body was presented as “The Castle Golem” or “The Etheric Golem“. In this workshop, taught by Steven Critchley, we will consider the etheric body and its power in connection to the spirit, soul and physical body by reviewing W. E. Butler’s teachings about “The Castle Golem” that students were taught to project and re-absorb using Qabalistic methods and the symbolism of an interior castle seeded in the Round Table, the veiled Grail, and symbols of the sun. Furthermore, we will compare W.E. Butler’s presentation of the etheric body with the Renaissance Mage, Marsilio Ficino’s teachings about the eidolon from his Platonic Theology and how Ficino taught that the eidolon could receive impressions from the soul and the “higher self” which he called the angel. W.E. Butler wrote a short article on the etheric body in the Spiritualist periodical Light in 1922 and in the workshop we will also explore how Spiritualist teachings influenced W.E. Butler’s ideas about the etheric body, especially through his first teacher, the medium Robert King who worked as a Spiritualist medium and member of staff at W.T. Stead’s pioneering Julia’s Bureau, in London where private sittings were offered to the public in Edwardian times. The etheric body is part of what might be called the etheric world and we will practically consider how we can become aware of our etheric body and the ‘aura’ using guided meditations and practical exercises. In 1934, Arthur Findlay published a groundbreaking book called “On the Edge of the Etheric” that explored the etheric body and “Scientific Proof of the Afterlife” in the etheric world. We have borrowed the title of our workshop from the book. 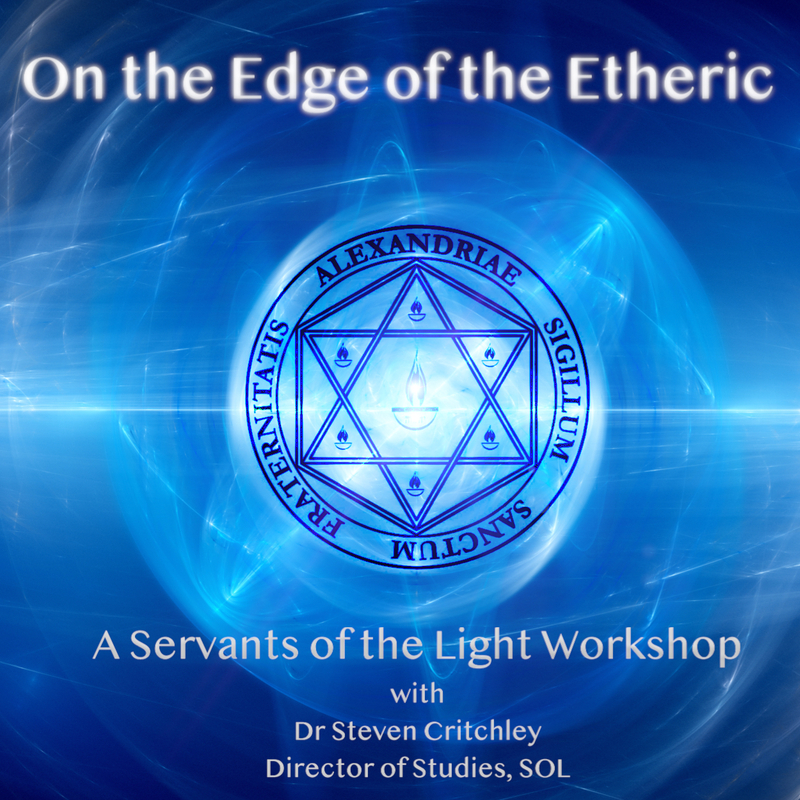 We are delighted that we have been able to hire the building of the historic Longton National Spiritualist Church as the venue for the workshop that we feel will be a special setting in which to explore teachings about the etheric body and the etheric world. SOL students will find this workshop to be both informative and practical. The workshop will begin on Friday evening, May 3rd at 7:30pm and will conclude on Sunday afternoon, May 5th 2019 by 3pm. The workshop will take place in Longton, Stoke-on-Trent and is non-residential, light refreshments and a light lunch will be provided on-site on Saturday and Sunday and some supper will be provided at the venue on Saturday too. Cost of £80 includes refreshments and light meals. There are a range of hotel accommodations available in the Longton, Stoke-on-Trent area. Stoke-on-Trent railway station is 1.5 hours from London and approx 1 hour from either Birmingham or Manchester. Please email sollessons@gmail.com to register your interest and for booking details or if you have any inquiries.